Truth is stranger than fiction. So are the incidents recorded in Deepta Roy Chakraverti’s latest book “Cursed at Kedarnath and Other Stories”. Dealing with issues of haunting havelis, reincarnation, spirit communication and possession, the range is wide. One is about a woman deeply disturbed by a nightmare of being pushed from a mountain another is on the contact between a radio enthusiast school student and spirit of a man who committed suicide. Other stories deal with what Deepta saw and felt in different places. Like during her visit to the Temple of the 64 Yoginis at Hirapur, Odisha, the past events of women performing rituals there and the killing of a head priestess by a Roman trader play out. 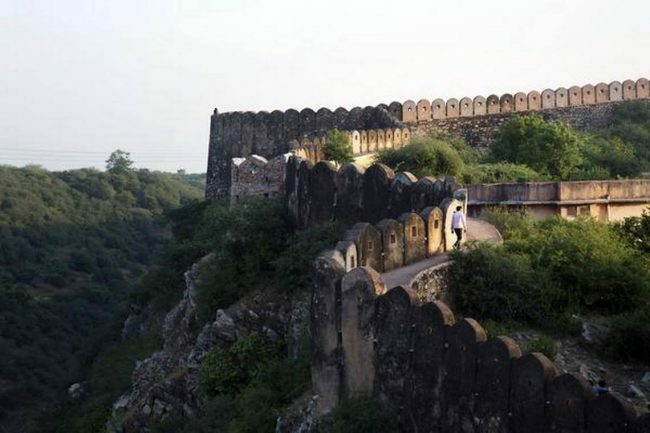 Likewise, at Nahargarh, she becomes privy to how a young court dancer, favourite of King Jagat Singh was murdered because of her influence over the besotted ruler. Passionately involved in supernatural, Deepta, a psychic researcher and lawyer, says, “I am curious in delving into other worlds; in what lies just beyond the veil. And it is this journey which led to this collection.” She makes it clear that the book is not tantalise or sensationalise but communicate with those who have a thirst for adventure and want to know more about the world which is beyond the tangible. “I write as reality happens around me. And perhaps reality is more about a quest, or about seeking answers, rather than about sensationalising scenarios. I believe that stories of the supernatural will always have depth and an x-factor which just cannot be labelled.” She goes on to quip, “What is sensational or over the top, is nowadays reserved for our Hindi television screens which I feel try to manipulate the truth about other worlds to suit their TRPs.” While believers in paranormal will find the stories giving credence to their belief for the sceptics it will give points to ponder upon. Hoping that in coming times there will more literature on supernatural and psychical but also research complimenting it, Deepta feels this will truly unveil the mystery and the subsequent superstition associated with them paving way for new thought and scientific discovery.